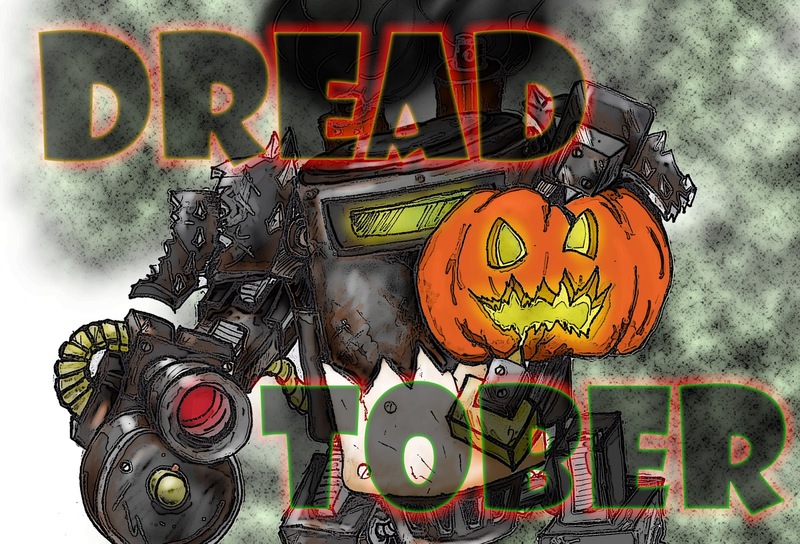 SincaiN40K: Who doesn't love Dreads and October?! Who doesn't love Dreads and October?! Last Friday I posted up about Dread Tober and looks like we got more participants which is very cool. John said we needed a Logo .. so this weekend I whipped up a quick drawling and then even more quickly colored it and cropped it into a logo/banner. There is a smaller image at the bottom if you want to post it up on your blog as being part of Dread Tober. Not a requirement ..Up to you 8).. It starts October 1 and Ends the 31st.. then we can post up all of the finished pics and check it out.. 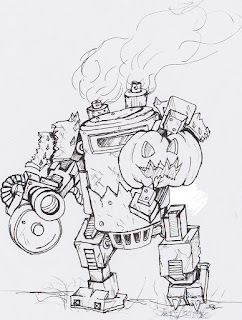 This is the original line drawling of the Dread.. I think it came out decent. .. Here is the updated list of participants. It sounds like there is going to be a pretty wide range of models and ideas. They can be expansive or they can just be a Kan .. That spread is what makes it cool. In general they will all be the same unit but there will be a ton of different looks,, which is the point. 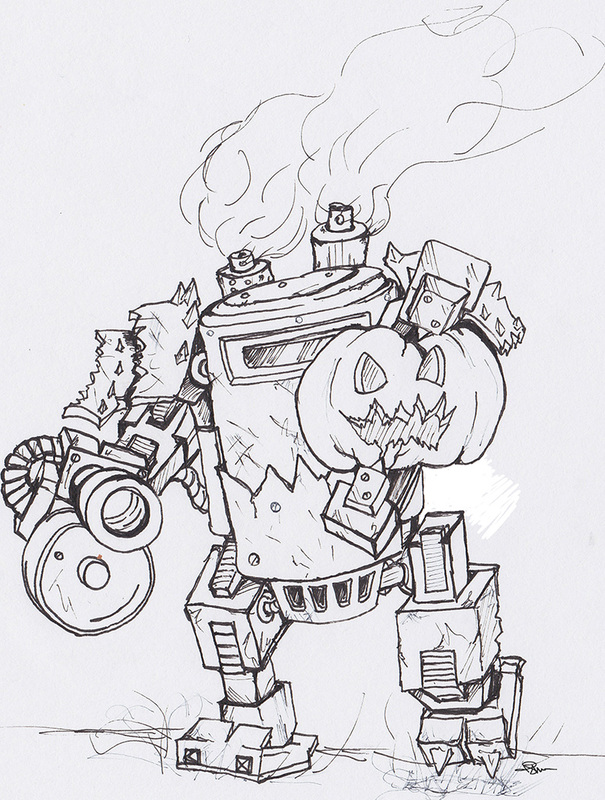 For mine, I'm going with Kan trying to carve a Pumpkin with his Buzzsaw.. I figured it would be a cool look and represent October and Halloween. Now I have to head to Michaels to find some small pumpkins haha.. There can never be too much Dakka..
NOVA 2015 .. It's finished ..